There are 13 reviews of Falling In Love. Throwing caution to the wind, I decided to take up yet another Philosophy unperfume this afternoon: FALLING IN LOVE, which fortunately is a vast improvement on INNER GRACE, which however can hardly be viewed as a compliment, given that I actually had to resort to a scrub to get that chemical soup off my skin. FALLING IN LOVE strikes me as somewhat cynical, an expression of the age-old wisdom that “not all that glitters is gold,” one corollary of which is that not every crush attains the status of true love. FALLING IN LOVE opens as a sweet, jammy, laundry scent. Yes, difficult to believe but no less for that true, “sweet laundry” is in fact a twenty-first century fragrance category, and FALLING IN LOVE is a member of that class—at least in its opening, until it dries down like the residue at the bottom of an almost empty jar of berry jam: thick and unspreadable dark fruits. Very shallow, this fragrance may have surface appeal but quickly becomes boring, like a person who seemed loveable until he opened his mouth. Or even worse, left a piece of his screed lying about, revealing to all the barrenness of his soul. He might be okay for a one-night stand, but falling for him is not FALLING IN LOVE. A more appropriate name for this forgettable composition might be PASSING FAD or, better yet, OMG WHAT WAS I THINKING WHEN I BEDDED DOWN WITH A GUY WITH 3 STDS? I think this is a great fragrance for those 17 and under. Maybe just the shower gel for those older than 17 just to reminisce in a bubble bath with such a sweet scent. My take is that it is sweet, innocent, with a hint of citris. Like burnt sugar with some lemon drops and an overripe raspberry. Individually I like those scents but mashed together? That's what Falling in love smells like. But for my own sake I hope not. Pleasant. Sweet. Fruity. Happy. Benign. Inoffensive. Feminine. Simple. Linear. Fleeting. Almost a guilty pleasure-- it's the sweetest, fruitiest perfume I wear. Super feminine. Odd thing about this perfume, before I gave birth to my 1st child, I couldn't stand the smell of it. After my daughter was born however, I smelled it and LOVED the way it smelled, I bought a small bottle, went through it immediately, my hubby bought me the layering set for Christmas, went through that in short order, then I bought the big bottle, and about halfway through the bottle, I got pregnant w/my 2nd child. For some reason, it makes me nauseous, still after I am now 5 and a half months pregnant. I do like the smell of it, the vanilla and blackberry smell fantastic together, I used the shower gel, in fact about 3 bottles of it and loved it as well. I'm hoping that after this baby is born, my body will react the same way it did after my first child was born. PHILOSOPHY FALLING IN LOVE SHAMPOO, BATH & SHOWER GEL - BIG 16 0z. RARE: Philosophy Falling In Love Shimmer Spray Cologne ~ 2 fl. oz. 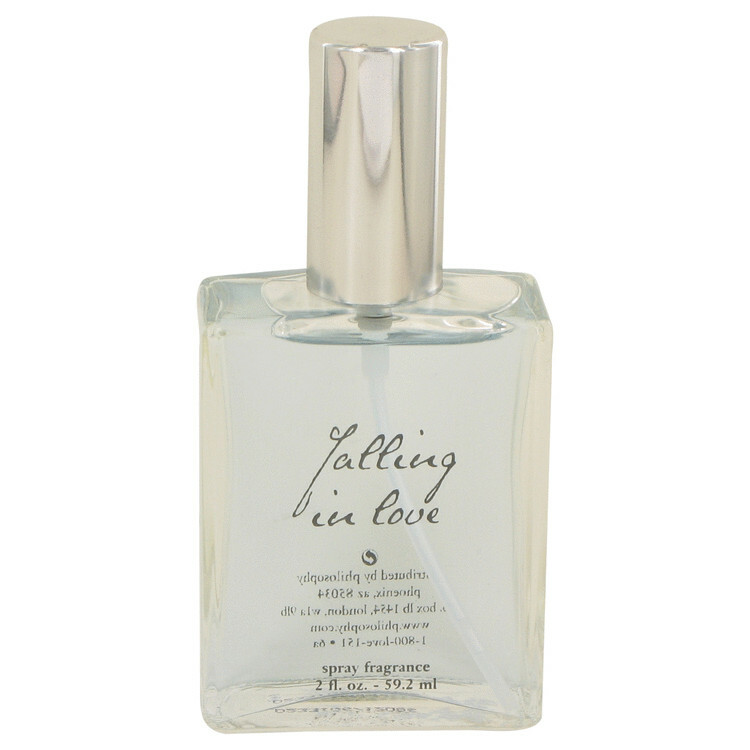 PHILOSOPHY- Falling In Love SUMMER Fragrance- Eau De Toilette Sample 1.5 Ml. There are no member images of Falling In Love yet. Why not be the first?